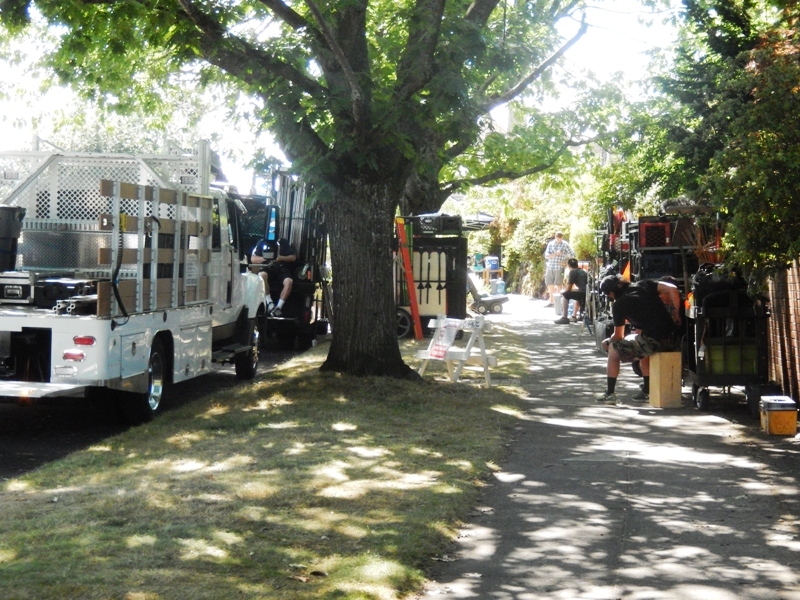 Another day of the GRIMM Filming was happening in Portland and I was lucky to find them once again. 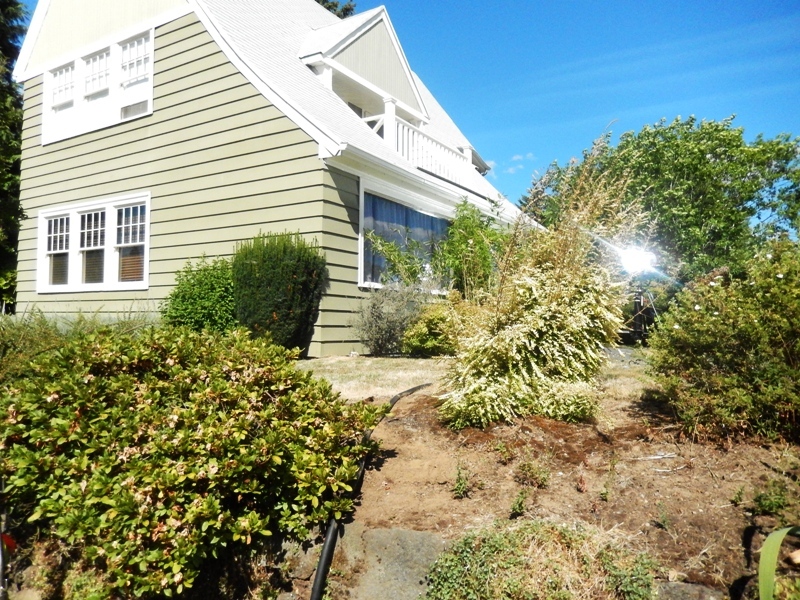 This time it was in NE Portland in a house on the corner of NE 65th and Sacramento. 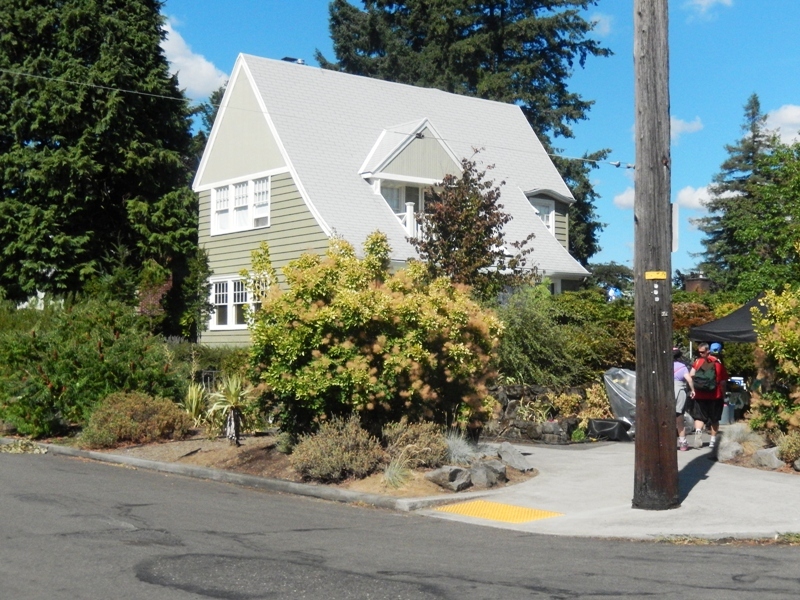 I think that they film a lot of locations in NE/SE Portland and this was near several others. It was a large house on the corner. 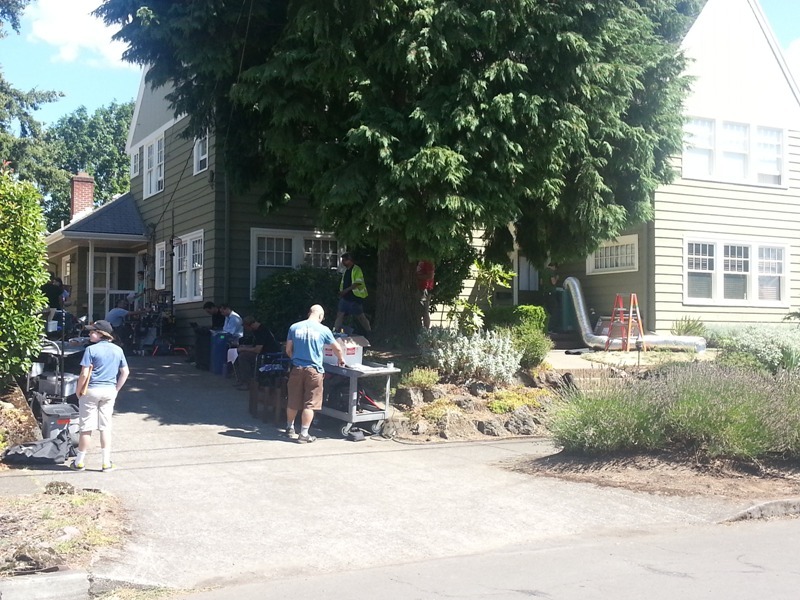 They used the driveway as a set up area for the director, lighting people and several other production assistants. Their large semi trucks were just a block away. 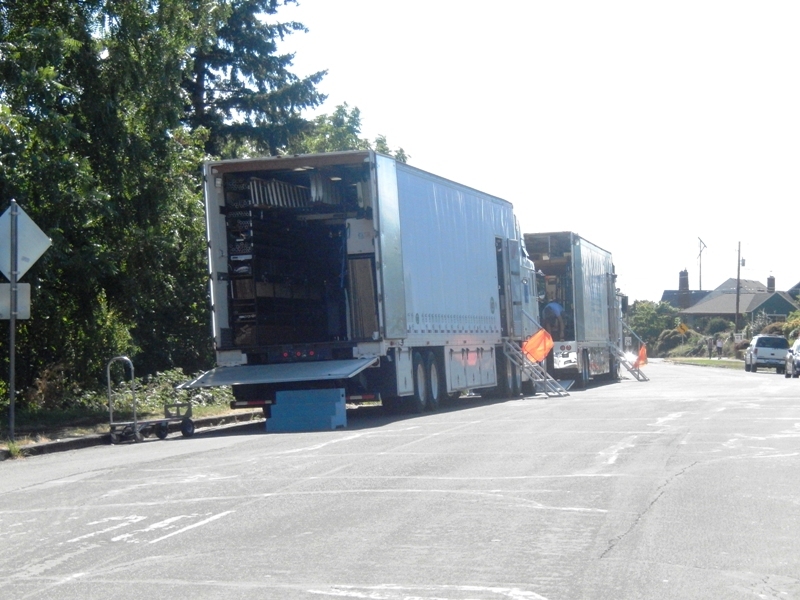 The sidewalk was lined with rolling carts of equipment and cables of all sorts. They definitely use up a lot of space for all their equipment. Several smaller trucks were also parked nearby. They had the white vans again that were shuttling cast and crew from their off site parking. The filming took place inside the house in a a large room that was on the corner of the main floor. The windows for this room were completely shut off from outside view. 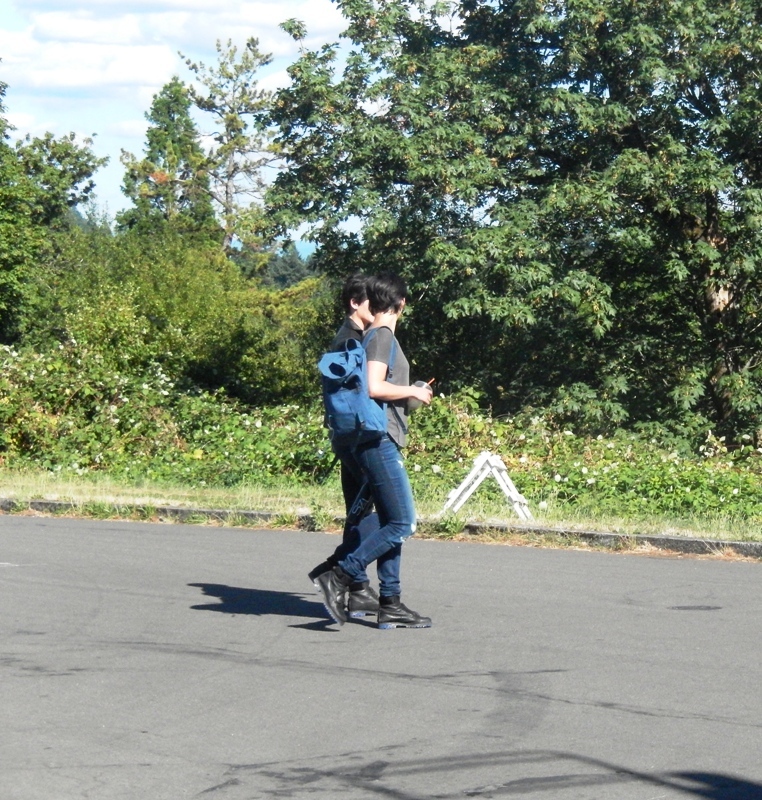 The scene they were filming included a fight scene with Trubel (Jacqueline Troboni) and her stunt double. There was also another guy that was involved that we did not recognize. They did do some practice out front first. Then when they were filming it we could hear outside all the shouts and booms from their fighting. They did this several times. 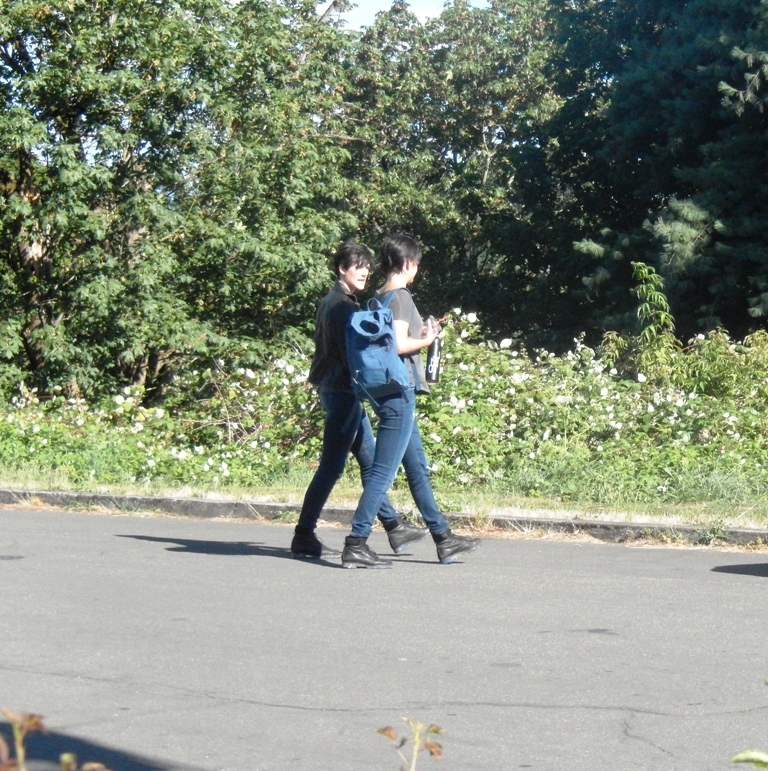 Jacqueline and her stunt double walked out to the waiting van and we were able to get a quick picture of them together. 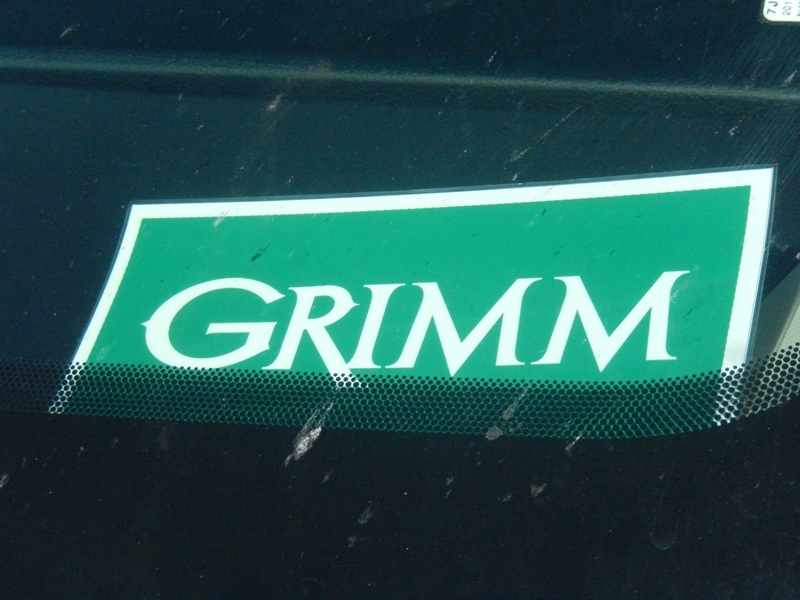 It was also fun to meet some new GRIMM Fans who had gathered on the street to watch the filming. 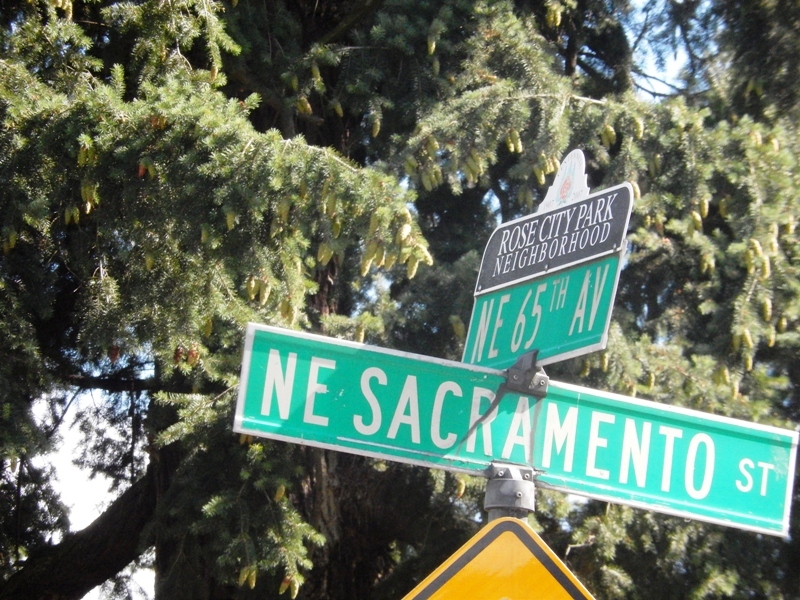 They all lived close by in the neighborhood. At the end of the day we were waiting to see David G. as we were told he was coming around 4:30. 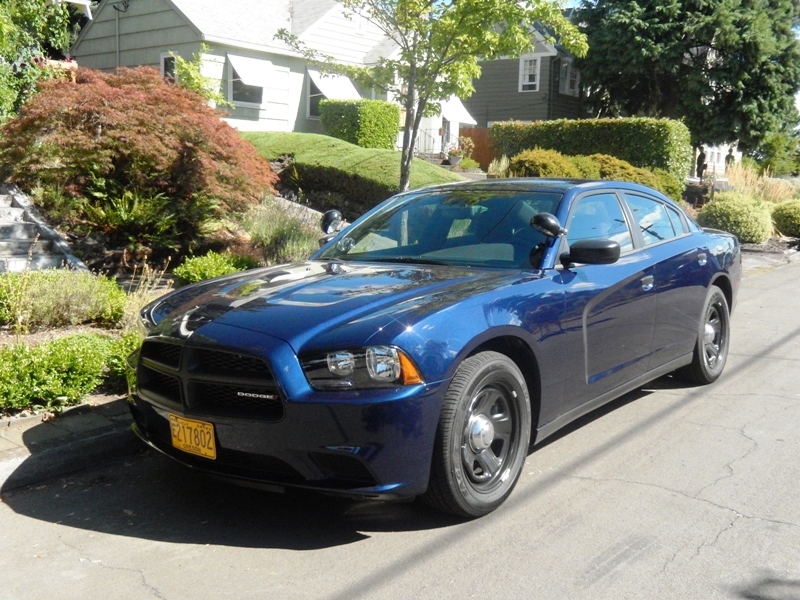 The car used by him and Hank was parked on the street already. By 5:00 I decided I need to leave so that I could get to the next location for their filming tonight which is the top of Rocky Butte in SE Portland. I did not see David just Jacqueline. Jacqueline Toboni is the one closest to us and carrying the water bottle with the grey shirt. 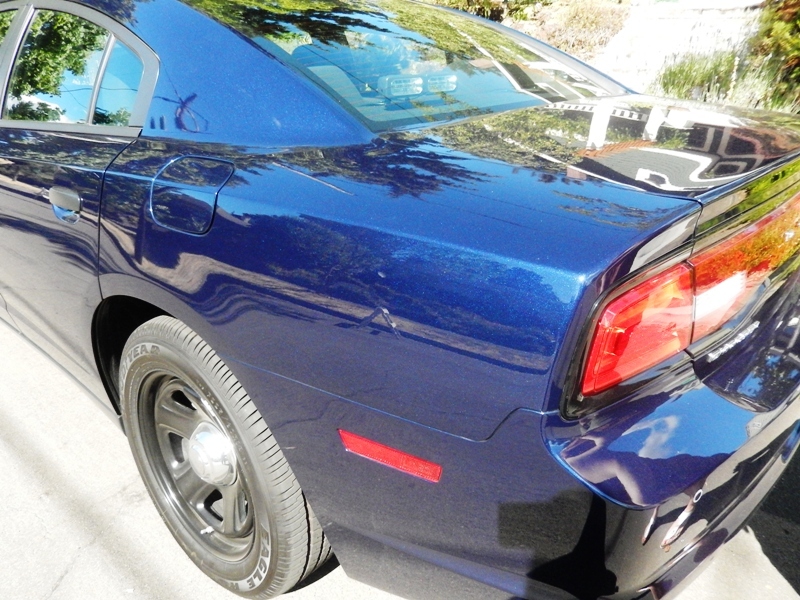 I did not realize until I was up close that their car has a metallic gleam to it. You can see in the second photo how is shimmers.